January 2019 Update. Lighter than Air? Apple shocked the whole industry with the first MacBook Air: We had never seen such a slim and light notebook before. 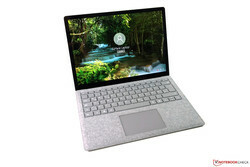 However, in the meantime the other manufacturers have come up with several slim Windows devices that are good alternatives to the current MacBooks. The following table shows possible Windows based MacBook competitors tested on Notebookcheck in the last 12 months. With the same rating, younger tests are ranked first. The table can be sorted by clicking on the headings or restricted with the text filter (eg matte). Microsoft won many fans with its Surface tablets and the Pro model is also popular amongst business users. The latest iteration is once again called Surface Pro 6 and almost appears a bit outdated without USB-C port. This is common with the MacBook Air 13 (2017), which fortunately got an update with the MacBook Air (2018) including USB-C. This is annoying, because we already criticized the lack of USB-C on last year's Surface. 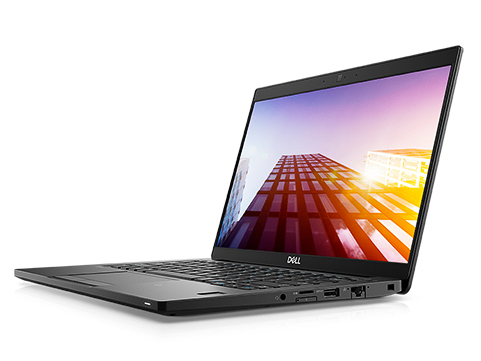 In our review of Dell's business laptop we say: "Only a few laptops impressed us as much as the Dell Latitude 7390". Thanks to an anti-glare (!) touchscreen, really long battery runtimes, great port selection, and the low weight, this statement is justified. It does not have to be the model with the Core i7; you can save money with the Core i5 and the performance is still superior to the Apple MacBook Air 13. However, it comes at a price: Compared to the MacBook Air 13, which is actually pretty cheap right now, the Dell Latitude 7390 can easily cost twice as much depending on the configuration, but you also get much more modern components. 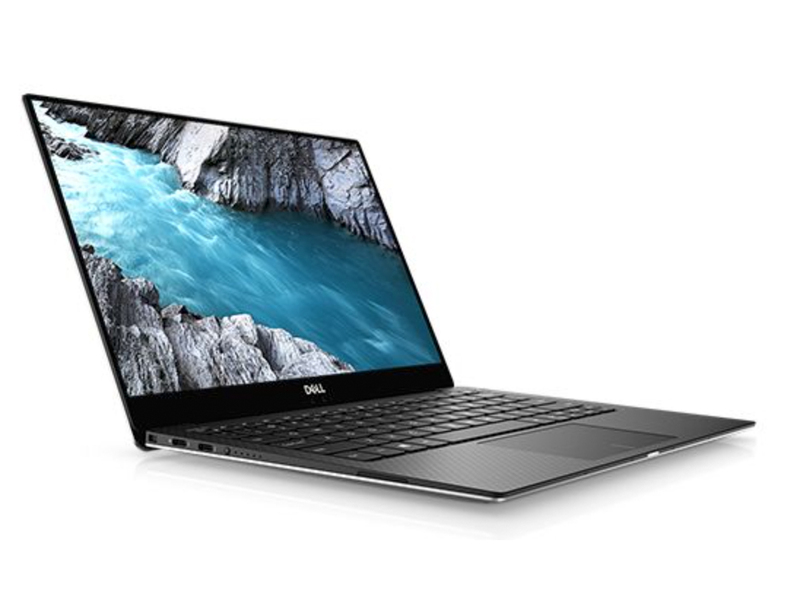 Thanks to its small dimensions and light weight, not only is the Dell XPS 13 a suitable rival for the Apple MacBook Pro 13, but also for the MacBook Air 13. This year, the aging subnotebook has finally received a new case. Build quality is as high as expected, and while the case is ever so slightly thinner than the old one it is not as rigid anymore. The major downside of this year’s model is that all SKUs now feature a reflective display so there is no way getting around that anymore. We would have also preferred a bigger selection of ports and a better webcam. In return, the input devices were solid, battery life was long, and the device remained almost completely silent in everyday use. As such, the XPS 13 remains a strong contender to the MacBook Air 13. 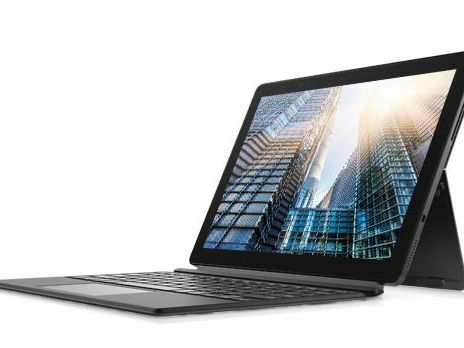 The Dell Latitude 5290 2-in-1 follows the concept of the Surface Pro: A powerful tablet in the first place, which can be transformed into a full-fledged laptop replacement thanks to a high-quality keyboard cover. Even the maintenance of Dell's business convertible is pretty simple and it is usually very quiet in practice. The battery runtime is not as convincing and the price is also higher compared to some of the rivals in this ranking. You do not get a Thunderbolt port, but a good screen and many security features in return. Microsoft offers a veritable portfolio of Surface devices by now, and they can compete with Apple's MacBooks. 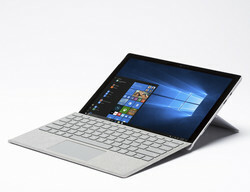 The Microsoft Surface Laptop 2 is a typical Ultrabooks, which competes with the MacBook Air thanks to its slim construction and low weight. We really like the excellent screen with great color accuracy. The Surface Laptop 3:2 also features a 3:2 aspect ratio and offers more vertical space compared to common 16:9 screens, which can be an advantage in productive applications. The input devices are decent as well. Other highlights are the good speakers and the long battery runtime. The major drawback is the lack if Thunderbolt 3 as well as the maintainability, which is non-existent. The laptop is also cheaper than Apple's new MacBook Air, so it is a serious alternative. Since the MacBook Air 11 has been discontinued, the slim and light MacBook 12 is the smallest laptop of Apple's line-up. It quite radically omits almost all interfaces. This trend continues in Ultrabooks with Windows. 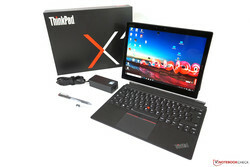 The ThinkPad X1 Tablet is a great business convertible. Thanks to the pen and the numerous operating modes of a 2-in-1, it is more versatile than the MacBook 12. You also get a great touchscreen and high performance. However, there are some drawbacks, like the mediocre battery runtime and the speakers. If you are only looking for a typical laptop, you might not use the advantages of the ThinkPad X1 Tablet. It is also more expensive, but a great alternative. There is finally some movement in the processor market, which is currently dominated by Intel: AMD is back and offers better integrated graphics adapters. The Radeon RX Vega 8 in the Lenovo ThinkPad A285 cannot replace a discrete GPU yet, but offers significantly more performance compared to Intel's iGPUs. The processor is also more than powerful enough for office tasks, the fan is quiet, you get great input devices you expect from a ThinkPad, and a matte IPS screen. 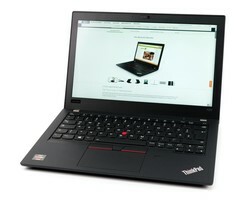 The laptop is also compact and light, so it is a good alternative for the MacBook 12. Samsung is also slowly approaching the western notebook market again. 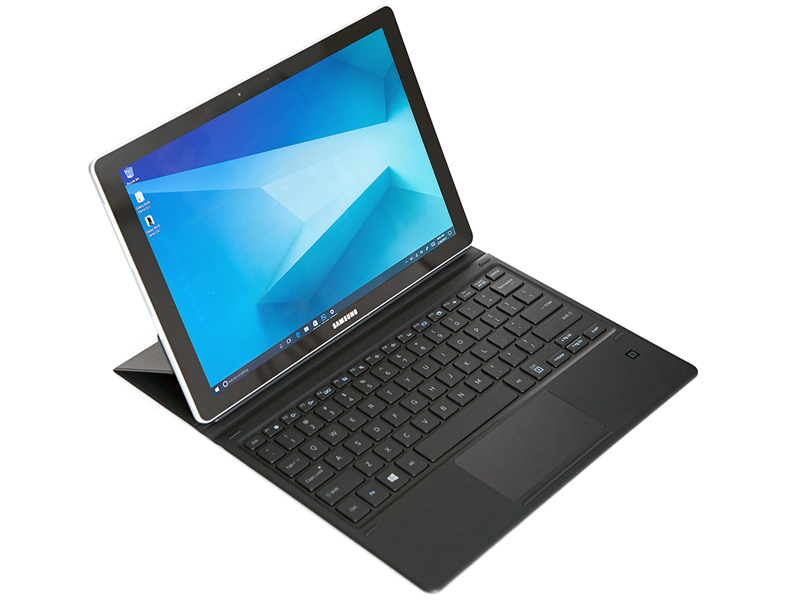 The Samsung Galaxy Book 12 is a direct competitor to Microsoft's Surface Pro and can also be a threat to the MacBook 12. There are hardly any complaints thanks to a premium, and simple design, high-end build quality, fast LTE connectivity, good input devices, good display, and long battery life. At most, you can criticize it for throttling under prolonged load and slightly too high temperatures. Otherwise, it is a worthy contender for about 1500 Euros (~$1789).